My mother gave me a card to read the night before Ironman Lake Placid. 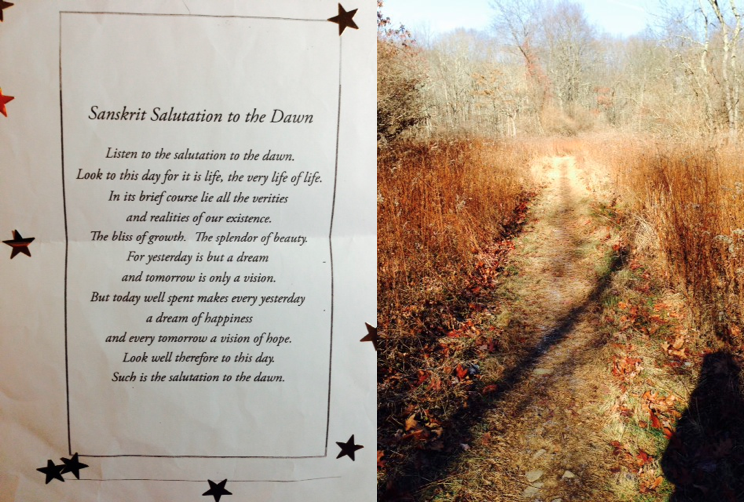 Inside to the card, she gave me this poem, Salutation to the Dawn, which remains on my bulletin board as a reminder to make each day as fulfilling as it can be. Needless to say it was probably the perfect thing to read pre-Ironman!